Did Ray J give Whitney Houston fatal cocaine? Whitney Houston’s former sister-in-law says she thinks Ray J gave the singer the cocaine that ultimately led to her death. What does Ray J have to say about that? Whitney Houston’s cause of death was released yesterday: Drowning after a heart episode brought on by chronic cocaine use. L.A. County Chief Coroner Craig Harvey confirmed that the singer appeared to have used the drug “in the time period just immediately prior to her collapse in the bathtub at the hotel” — but who gave it to her? Leolah Brown, the sister of Whitney’s ex-husband Bobby Brown, told Dr. Drew she is convinced that Ray J was supplying the singer with drugs — including the fatal dose. 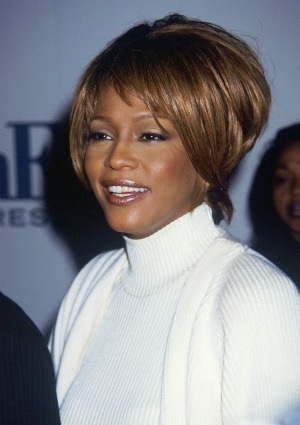 Leolah said her first thought when she heard the news of Whitney’s death was, “My God, somebody gave her a bad bag” of cocaine. Leolah’s accusations are not sitting well with Ray J, who vehemently denied having anything to do with it. “Even though Leolah Brown was nowhere near the Beverly Hilton Hotel on the day Whitney Houston died, Ms. Brown falsely claimed that Ray J was at the hotel and contributed to Whitney Houston’s death,” his rep said in a statement. Ray J’s statement makes sense according to what one source, who claims to have been with Whitney the day she died, told TMZ. According to the insider, someone removed all traces of cocaine from the hotel room before authorities arrived, and that same person supplied them to her in the first place.